HATS OFF: Short-term unsustainable logging is out and long-term management is in. SABAH is fast becoming a trailblazer in sustainable forest management. This is evident from the numerous accolades, notably from the United Nations, World Wildlife Fund Malaysia, Forest Stewardship Council (FSC) and the Prince Charles Charity, for the success of its forest conservation efforts. With the global community looking at Sabah as a fine example in tropical rainforest protection and management, several forest conservation-related international meetings and conferences were held in the state over the past few months. At one of them, the United Nation Development Programme's resident representative for Malaysia, Singapore and Brunei, Kamal Malhotra, described Sabah as a model of sustainable forest management not only for Southeast Asia, but also the world. "What is happening here (Sabah) is closely monitored by those who are interested in sustainable development," he said. In recognition of Sabah's efforts, the UNDP has agreed to fund a RM14 million project on multi-use forest landscape planning and management at a 260,000ha active production forest area at the Kalabakan-Gunung Rara forest reserve in Tawau. Echoing Malhotra, WWF Malaysia chief executive officer Datuk Dr Dionysius S.K. Sharma commended the visionary leadership of the state government under Chief Minister Datuk Seri Musa Aman for its political will and for "walking the talk" in implementing programmes and initiatives to protect and conserve the environment. "Sustainable development will determine if we get to keep this planet, and Sabah, with the leadership that it has, will be able to keep this part of the world intact," remarked Dr Dionysius. Sabah's forest conservation effort has also attracted the attention of Charles, the Prince of Wales, whose foundation is involved in funding numerous rainforest conservation programmes. State Forestry director Datuk Sam Mannan was recently invited by the prince to share Sabah's success in sustainable forest management at the WWF Global Forest Trade Network (GFTN) Anniversary Forum in London. It is heartening to note that these strict practices have helped Sabah improve the way it manages its forests. This was evident particularly in terms of phasing out short-term logging licences that did not adhere to sustainability principles. Through new practices, long-term forest management plans were designed and reduced-impact logging was introduced. The state also started giving priority to the protection of High Conservation Value Forests, which are home to diverse wildlife and plants, and also serve as watersheds. By committing to sustainable ways of logging, Sabah has also safeguarded the interests of local communities whose lives depend on the forest. Switching from conventional logging to sustainable harvesting was perhaps one of the most difficult decisions the state government had to make. This was due to the fact that Sabah was hugely dependent on timber for revenue, and opting for sustainable forestry management means making sacrifices such as losing short-term monetary gains, and doing away with old ways of logging. Time and resources were instead allocated to finding the best ways to harvest timber without negatively impacting the environment and communities. The most practical and pragmatic ways of doing things are continuously addressed as Sabah learnt newer things from its experience in sustainably managing forests. Despite uncertainties when the state embarked on the bold decision to push for a sustainably harvested forest, it has passed the litmus test and has proven the doubters wrong. "For Sabah, this is not just talk. We have success stories, among them the Deramakot Forest Reserve which has been certified as a well-managed forest under the Forest Stewardship Council (FSC) certification scheme," Musa said. From the Deramakot experience, Sabah expanded sustainable forest management practices statewide in 1997, allowing it to continue creating jobs and revenue and at the same time preserving its forests and biodiversity. The practices are now well accepted and the goal of the Forestry Department to attain full certification for forest reserves by 2014 has started yielding results. To date, Sabah has 839,477ha of forest under some form of certification. Of this, some 373,620ha have been certified as well-managed by the FSC. This includes the recently certified 50,070ha Tangkulap forest reserve and the Ulu Segama and Malua forest reserves covering a total of 241,098ha. 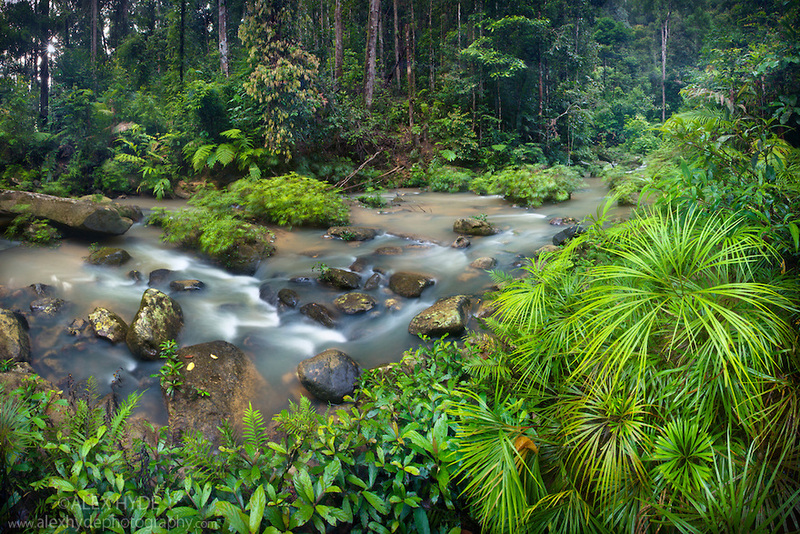 The Malu reserve is particularly significant as it is expected to help conserve a habitat for orang utans.